It is with a heavy heart that I press my quill to parchment. My loves, twin objects of my affection, two great cities of this Republic of which I assisted in the formation, stand opposed on a field, girded for battle to obtain this Trophée Lombardi, this Super Bowl. Why do you quarrel, Boston? From your stately tea-stained harbor our revolution began. Yours were the shores these now weary eyes spied when first I sailed to America, a garçon of 22. Now you are a great modern metropolis, with your cans of beans and your tarte à la crème. Five times have you claimed the prize for this silly battle of pigskin on the big ruler, and still satisfaction is not yours? Mon Dieu! And you, my City of Brotherly Love! Man’s impetus to throw off the shackles of oppression rose from your Independence Hall. Alas, no Trophée Lombardi have your emerald warriors hoisted. But your steak au fromage! Your fromage à la crème! And never forget you are the birthplace to the great and noble monarch, The Fresh Prince of Bel Air, who celebrated his days by the playing of basketball in your city’s west end. If battle you must do, from every hill and dale around the College which bears my name, you will receive assistance. For at Lafayette College, those who have followed my example have chartered courses in art, science, and the marriage of both—knowledge enough to fill any vessel, even this Super Bowl you covet. 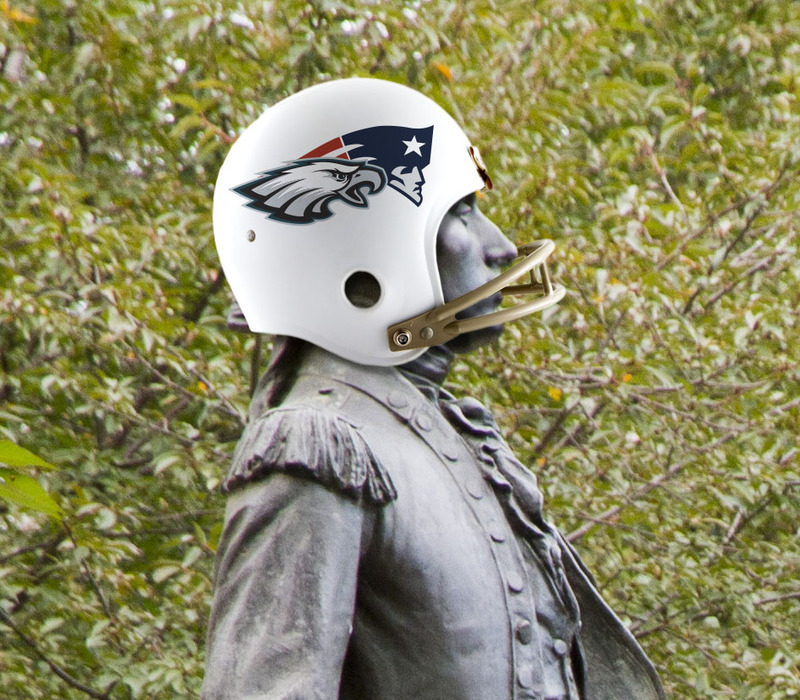 Peace, my beloved Philadelphia, fair Boston! Stay your arms. Heed the advice of your humble servant the Marquis de Lafayette. On this Feb. 4, perhaps just this once the new world may do as their European fathers.